With Milton Hershey as an Honorary Member, The Rotary Club of Hershey was founded in 1943. Our club consists of over 130 of the area’s most respected business, professional and civic leaders. We get together at weekly lunch meetings, and other functions, to fulfill our commitment to the Rotarian ideals of friendship, fellowship and service to others. We welcome you to learn more about our club and consider becoming a member. Lunch meetings are held Mondays at noon at The Hershey Lodge. The location and schedule vary occasionally, so please check the calendar. Cost of lunch is $18.00 (Christmas and Valentine lunches have an additional charge). Prospective members are welcome to join us for two lunch meetings at no charge. Dress is business casual. 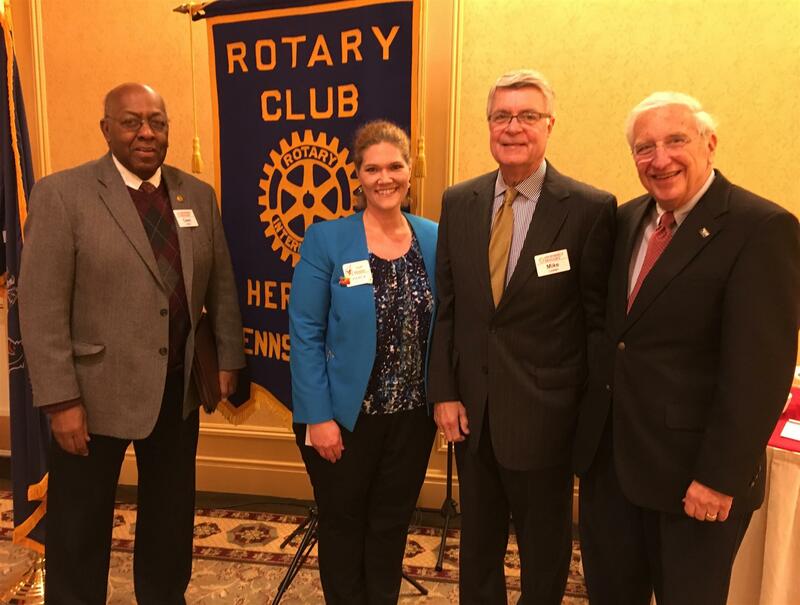 Hershey Rotary Club welcomes new members who would like to become more involved in our community. For more information, please contact us at info@hersheyrotary.org or join us for a weekly meeting.